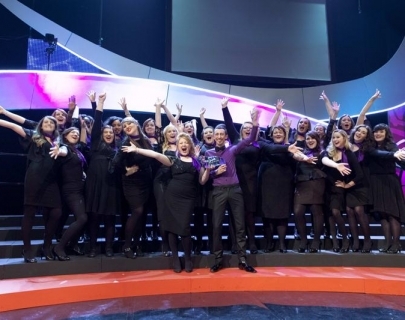 Join choirs from across the region in an infectious celebration of singing as they compete in the first round of the UK’s biggest competition for all amateur choirs, Choir of the Year. Singers of all ages will take to the stage in an attempt to impress a panel of expert judges and be voted through to the semi-finals. There is something for all tastes with everything from Bach to Barbershop and Gospel choirs to Glee clubs. Leading young conductor Greg Beardsell will host the auditions, as well as encouraging audience members to exercise their vocal cords. 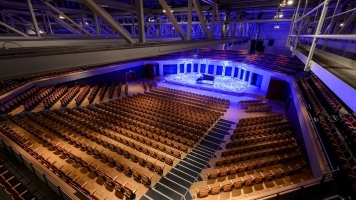 From more than 150 choirs auditioning around the country, only six will make it to the Grand Final in December 2014, broadcast on BBC television and radio. Please note: Under 5s go free, but will still need a ticket – please call Box Office on 024 7652 4524 to arrange a free ticket. Click here to book your ticket for one of the Big Big Sing Workshops. Attend the Big Big Sing workshop in the morning and go to the Choir of the Year Audition for FREE in the afternoon or vice versa!